Our customers save a minumum of 10 hours per month on admin and data inputting. 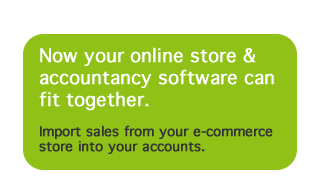 As sales volumes increase you will benefit from a streamlined post sales process and automatic tax calculations. Custom backoffice integrations can cost tens of thousands in deployment and support. 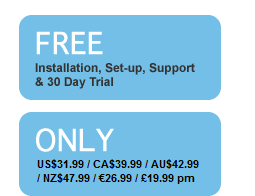 Our advanced functionality costs just US$31.99 / CA$39.99 / AU$42.99 / NZ$47.99 / €26.99 / £19.99 per month with FREE DIY set-up, FREE upgrades and FREE support. 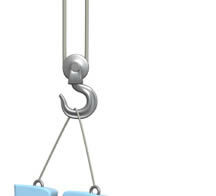 Integrating your systems gives you up-to-date financial information - a must for any professional retailer. And we save you time so you can focus on growing your business. What exactly does CarryTheOne do? CarryTheOne imports orders from shopping cart and CRM applications into accounting applications as invoices, creating customer records, payment records and inventory items (where applicable) automatically. The highly configurable service allows you to get the integration working the way you want. Please click below on the apps you intend to integrate to find out more and get a list of features specific to your integration.